Robert Linn Sullivan died April 3, 2019 at The Grands of Dublin in Dublin Ohio after a battle with cancer. He was born October 20, 1947 in Chillicothe, Ohio to Constance (Van Wijk) Sullivan and the late Robert M. Sullivan. He was a member of the last graduating class of Frankfort High School in 1965. He then moved to Ravenna, Ohio where he worked for General Electric until his retirement in 2005. To enjoy their retirement, he and his wife, the late Linda (Lee) Sullivan, spent their summers in Port Clinton, Ohio and their winters in Holiday, Florida. He moved back to Frankfort, Ohio in 2014 after her death. 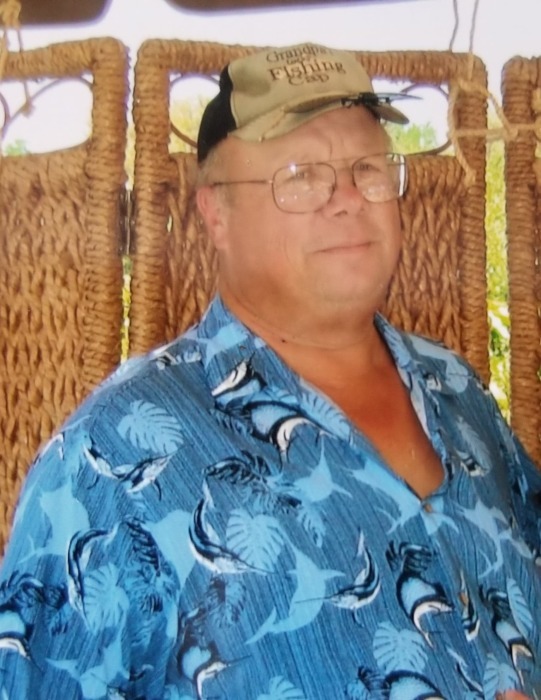 Robert was an avid fisherman, and ran his own fishing charter business on Lake Erie for several years. He was very involved with Boy Scouts as a leader and spent many hours with his son, Sam and later his grandson, Spencer on many scouting adventures. He was also a period camper, reenacting life in the 1800’s, along with being a HAM radio operator and a collector of model trains. His greatest happiness was the companionship of his dog, Bailey, who will miss him terribly. Robert is survived by his mother, Constance (Van Wijk) Sullivan of Frankfort, Ohio; Sister, Janet Cooper of Chillicothe, Ohio; Brothers, Mark (Kelley Brown) Sullivan of Frankfort, Ohio, Shawn (Kathy) Sullivan of Nelsonville, Ohio, and Jerome Sullivan of Frankfort, Ohio; Sons, Alan (Cindy) Sullivan of Port Clinton, Ohio, Patrick (Cathy) Sullivan of Concord, NC, Samuel (Stephanie Bole) Sullivan of Ravenna, Ohio; Grandchildren, Spencer Sullivan of Port Clinton, Ohio, Angela (Travis) Rutledge of Concord, NC, Gina Sullivan of Concord, NC, Corey (Savannah) Sullivan of Fort Campbell, KY, Savanna Cottrell of Cuyahoga Falls, Ohio, Julia Cottrell of Barberton, Ohio and one Great Grandchild, Mason Sullivan of Fort Campbell, KY. He was preceded in death by grandson Dominick Sullivan. Cremation is taking place and a Memorial Service will be held on Saturday, April 13, 2019 at 1:00 pm in the EBRIGHT FUNERAL HOME, Frankfort.